Do all animals sleep? When does a dolphin have a chance to take a nap? Does a horse need to lie down to get some shut-eye? Do opossums and bats really sleep upside-down? 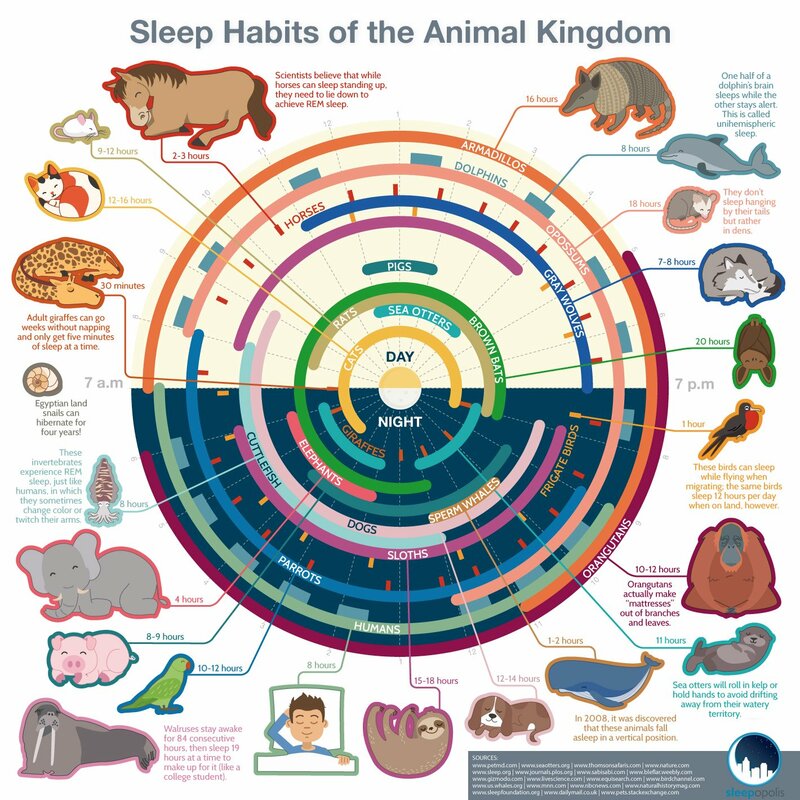 Here are some fun facts about animals’ sleeping habits, put together by Sleepopolis, that may surprise you.